Data science has become a key differentiator for many companies. We're here to help you figure out how to build your data science team. Data science is no longer an isolated group of analysts, with little focus on tangible results, building predictive models in a vacuum. Data science has matured to become an integral part of an overall business strategy to leverage the most important corporate asset: data. Many business managers that have tried to assemble data science teams and have quickly become overwhelmed with acronyms, marketing hype and conflicting vendor input. Understanding what technologies (and partners) truly enable a business advantage and what buzzwords are just marketing hype can seem like a monumental task. 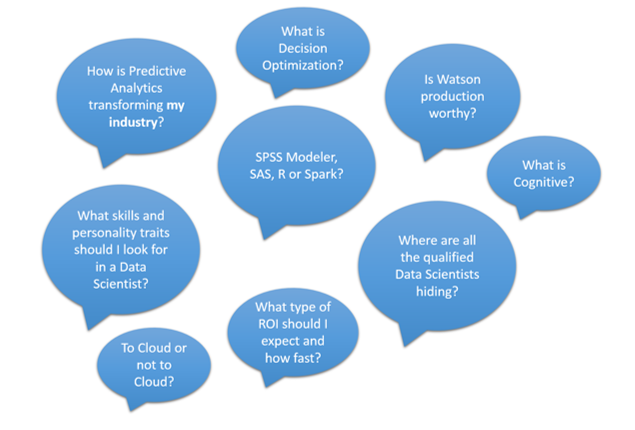 Unfortunately, many of these critical questions are only answerable by data science practitioners that have been in the trenches for years. Sadly, it’s all too often commonplace for businesses to spend a large amount of money on an inexperienced data science group (often recent PhD graduates) only to find out that results come very slowly and don’t meet business objectives. An analytics partner with the appropriate experience often means the difference between a colossal waste of time and money and a game changing new predictive approach/solution. 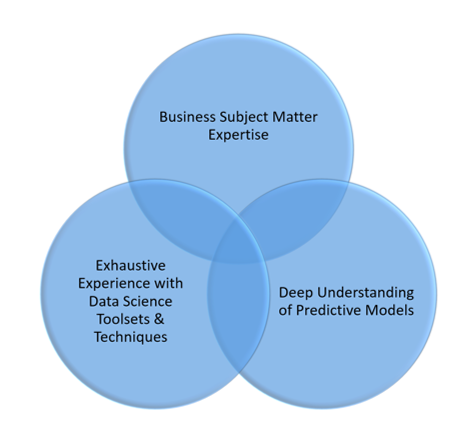 Data science value is delivered at the intersection of knowledge of your business (and corporate objectives), many hours of hands on work with different tools/techniques and deep understanding of predictive models (and their underlying data assumptions). At QueBIT, we build turn-key predictive solutions for clients (if that’s what they want) but we prefer to enable our customers to build their own data science capabilities. No one knows your business like you do. If we can enable your analysts (by teaching them the core data science skills they need), they will come up with creative, game changing solutions specific to your unique business. We’ve done it over and over and it’s what gets us up in the morning! We’ve helped transform 100’s of companies with predictive analytics. Reach out to us to find out how we can help you. Click to read more about our work in predictive analytics.